A Spring family session at Hickory Trails Park in Holly Springs, Georgia. Returning families are some of my favorite clients because I feel like I can capture their story even better the second time. I know them, and I know their family dynamic. This allows me to put my focus on being creative, rather than remembering names and getting to know a little bit about each family member. The Baysden Family is always a joy to photograph! But this time, I got to meet the newest member of the family... their pup, Chuck!! 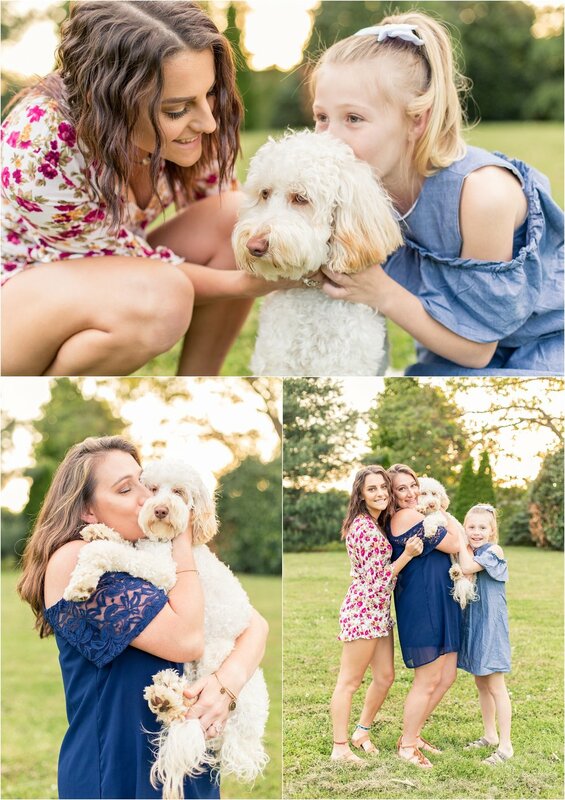 You just can't beat a family that loves photos, golden hour, and a really cute pup. That sounds like the perfect recipe for a great family portrait session to me! 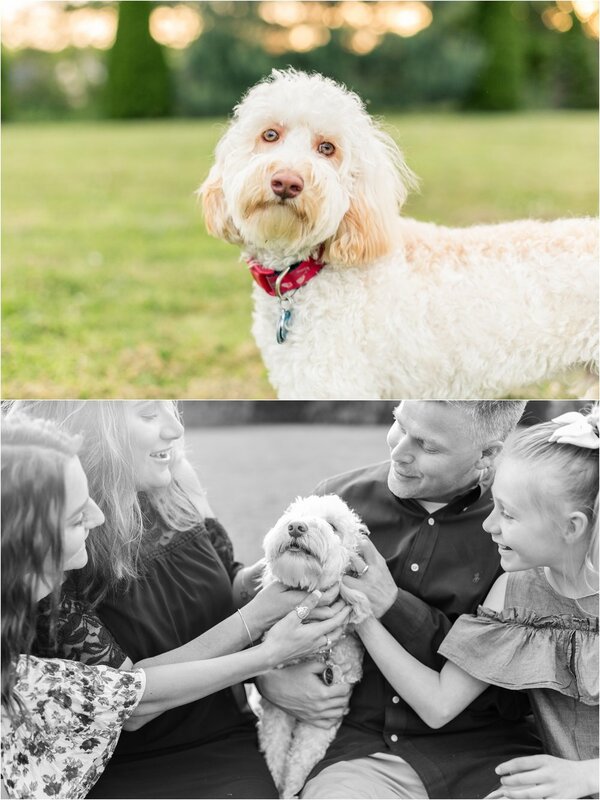 I know you're going to think I'm crazy... but families are already snagging their dates for Christmas card photos. These sessions always book up SO fast, especially Friday and Sunday sessions. You can find all the details here for those! There's a calendar at the bottom showing available dates. Toggle the arrows at the top to head to end of September dates. If you find a date that works for your tribe, contact me here! Seriously, it's better to schedule it sooner rather than later!